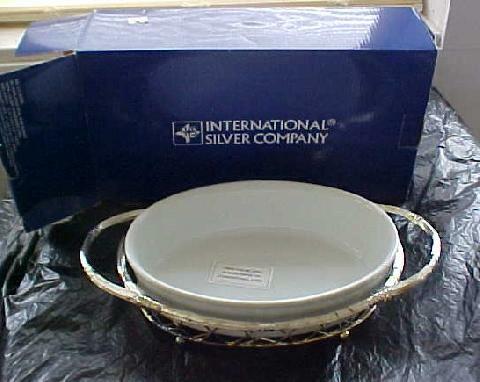 International Silver Company... Silverplated Oval Wire Basket.... 1 Qt Stoneware Liner... NEW IN BOX!! This lovely 2 piece set is New in original box. 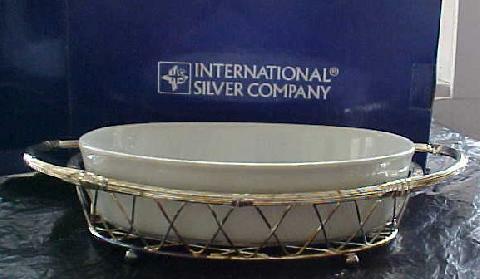 The silverplated basket measures approximately 12" wide (from handle to handle) x 7 1/8" x 2 1/4" high. 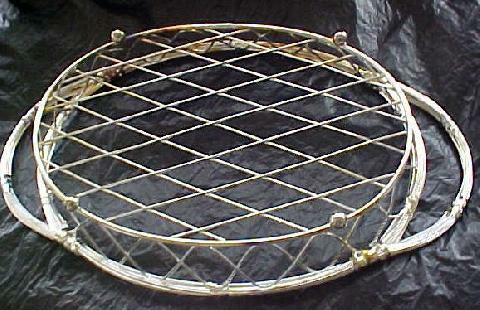 (note: there are some tarnish spots on the wire basket due to sitting as I have NEVER opened this package up until now). 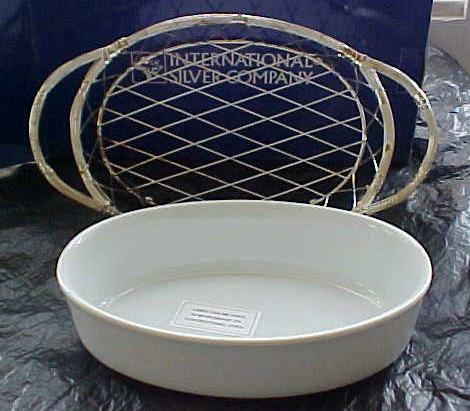 The white stoneware liner measures approximately 9" x 6 1/2" x 2 1/4" high. 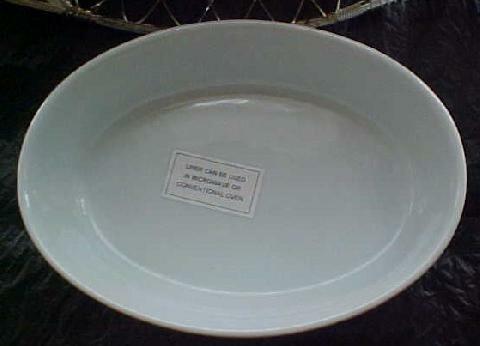 The liner has a sticker on it that reads "Liner can be used in microwave or conventional oven". This is a NEW item in ORIGINAL BOX!! PRICE: $21.99 plus $1.50 special handling charge.